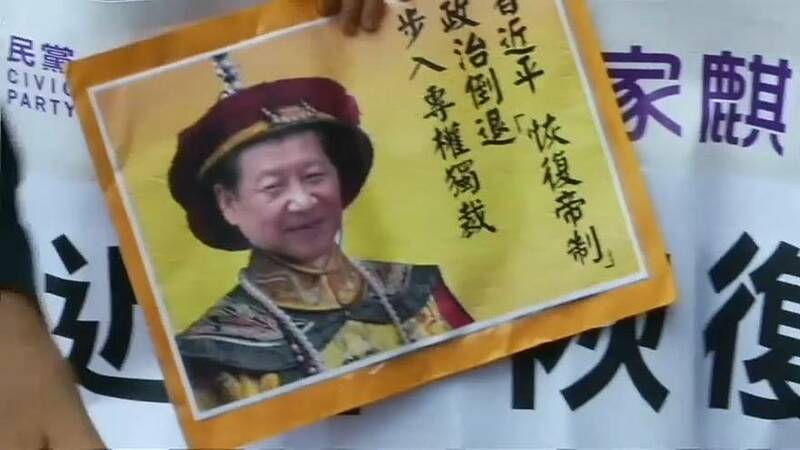 Dozens of protesters marched in Hong Kong on Tuesday to denounce plans that will allow Chinese President Xi Jinping to stay in power indefinitely. The pro-democracy demonstrators went to the China Liason Office to decry the move by the ruling Communist party to scrap presidential term limits. Pro-democracy legislator Kwok Ka-Ki, who led the protest, said the proposed constitutional changes will severely harm China's development and urged people to oppose them. The proposal, which will be passed by delegates loyal to the party at next month's annual meeting of China's largely rubber-stamp parliament, is part of a package of amendments to the country's constitution.